Home | Managing and Growing | Hiring and Managing Employees | Is Your Management Causing Employee Issues and Slow Business Growth? The need for voluminous policy and procedure manuals to ensure that the manager follows the rules? Do you have a succession plan — that is, an approach for and/or development of high potential/successor candidates? How can you improve your business when you have employee issues and conflicts getting in your way of running an effective, productive and efficient organization? First, change your approach and take a macro view. That is, understand that often, employee issues are symptoms of inconsistent or failing management. Your strongest assets and your key resources are your employees. (Yes, even stronger than your brand. Brand creates awareness and a promise. But it’s the employees that deliver on that promise.) And, while painful to acknowledge, it is the most talented employees that leave first. 1. First, get senior executives to function as an aligned team and to translate this manager’s to promote (by demonstration not lip service) the stated values of the business. Remember, employees watch their leadership team for cues on how to behave and how to manage. They look to managers to see what’s acceptable and what is not! 2. Carefully select employees for management positions. This means you need to have a succession plan that incorporates a management development plan for high potential candidates. 3. Support the transition from employee to manager. 4. Define the standard of performance required of all your managers. Provide needed support to help your managers understand your standards and meet them. If they don’t (or won’t) after suitable support and development, replace them. Understand that “what you permit you promote”. 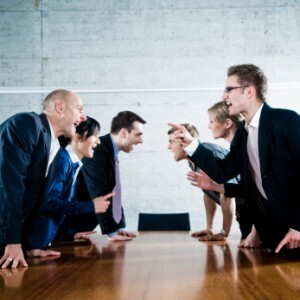 Tolerating poor managers and poor manager behavior is the same as condoning it. And that is the way employees will perceive it.